AUSTIN, TX— SXSW announced the lineup for the Austin Music Awards Official Showcase at the Sheraton Backyard, March 15th. 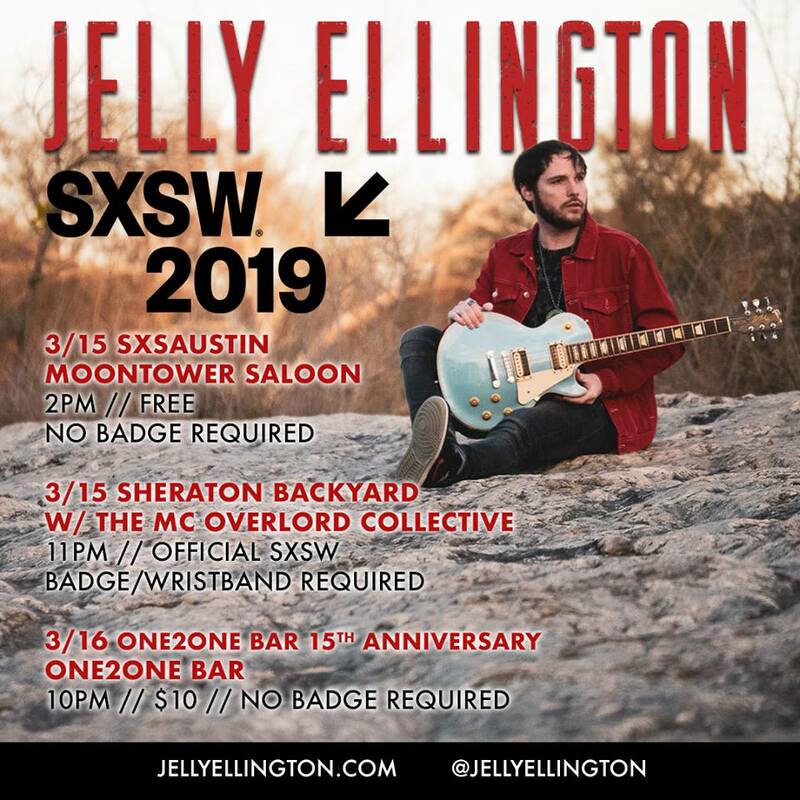 Jelly and Jelly Ellington keys player Cole Gramling are honored to be apart of a very special tribute to dear friend, mentor and Austin hip-hop legend MC Overlord. You can attend this event without a badge or wristband with $10 admission. This Collective group is in response to the tragic passing of Austin Hip Hop pioneer MC Overlord. It is brand new...only a month or so old. The group is comprised of many Austin Urban Legends From Dirty Wormz to Hip Hop Hump Day to Boom Box to Ter'ell Shahid and the list goes on. We came together to celebrate the life of a dear friend and champion of the diverse sounds in Austin's Music Scene.